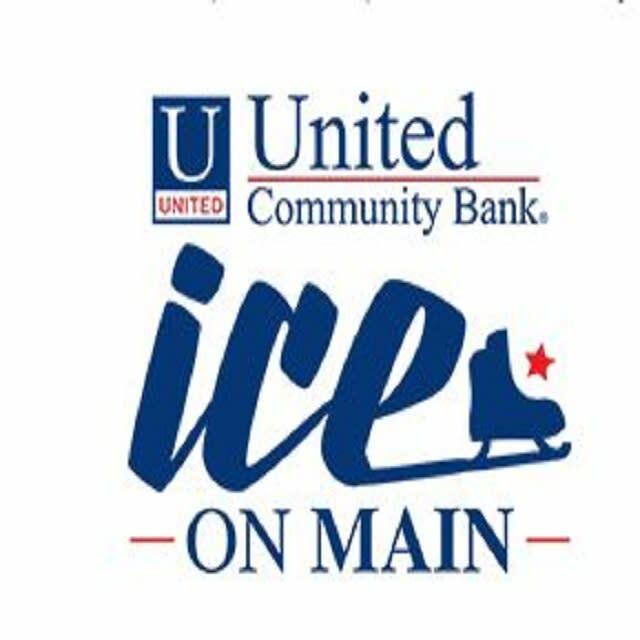 United Community Bank Ice on Main, located in the heart of downtown Greenville, is an open-air ice skating rink. Since 2011, more than 86,000 skaters and countless spectators have enjoyed Greenville’s favorite holiday tradition. Come out from November through January every year, to celebrate the holiday season with one of America's favorite winter traditions - ice skating! Monday – Thursday: 3 p.m. to 8 p.m.
Friday: 3 p.m.to 9 p.m.
Wednesday, Nov. 21: 11 a.m. to 10 p.m.
Thanksgiving Day, Thursday, Nov. 22: 4 p.m. to 9 p.m.
Friday, Nov. 23: 11 a.m. to 10 p.m.
Christmas Eve: 11 a.m. to 6 p.m.
New Year’s Eve: 11 a.m. to 10 p.m.
New Year’s Day: 11 a.m. to 10 p.m.
Martin Luther King Day/Closing Day: 11 a.m. to 10 p.m.
Price: $10 per person, includes skate rental.